In a recent review titled “The Case Against Hudson Yards Dining” on Eater, the inimitable food critic Ryan Sutton examined the food and beverage options at the mirage-like, instant Hudson Yards (henceforth Little Dubai), New York City’s newest neighborhood. The dining scene is not a pretty picture, and the food options are just part of the bigger picture, dovetailing with the urbanism to expose the ugliness of 21st-century development culture. As Sutton notes, Little Dubai “is a taxpayer-subsidized development that solidifies Manhattan’s slow transformation from one of the world’s most distinctive urban centers into a nondescript international mall for the wealthy.” His biggest gripe? Rather than representing the wonderful melange of cultures that thrive in New York, the food and beverage programming is a cynical commercialized selection that has no roots in the place it resides. “The only place for pizza—New York’s quintessentially affordable street food—will be a D.C.-based chain where a lunchtime Margherita starts at $11.50. The only Chinese-leaning restaurant will be an ‘East meets West’ spot run by a Dutch guy known for his competent Continental spots in airports, concert halls, and museums,” he laments. The condition Sutton describes could easily be in a number of cities around the world, where international flavors are imported wholesale and in no particular fashion or relationship to the place they now inhabit. This cultural importation is a new ideology: In an era where financial markets and soft power makes national borders less and less important, it makes sense that a new type of immigrant cultural exchange would begin to take hold—one that no longer even requires physical, transnational immigration. Cultural exchange can now take place on airplanes, waves of capital, and wires of data in an age of nearly frictionless globalization. That is how New York’s newest neighborhood, Little Dubai, got its character. As much as Little Dubai’s food selections should shock us, so should the art and architecture. The art follows a similar path as the food with superstar curators—ubercurator Hans Ulrich Obrist is a senior advisor—brought in to inject the place with some kind of pop-up world-class culture, much like what the UAE did at the Louvre Abu Dhabi, where the name and collection were rubber-clone-stamped from the old world of Europe to the open expanses of the 21st-century Gulf, where anything goes. Or consider Rain Room, the phenomenon that had lines around the block at MoMA in 2013. The Sharjah Art Foundation has not only acquired Rain Room for its permanent collection, but they built an entire new building to house it. This kind of cultural exchange—that of international consultants—relies on enormous amounts of capital to lubricate its mechanisms. No longer does it require, however, actual immigration or imperialism to carry culture from one place to the next, as was the case in the 19th and 20th centuries when neighborhoods like Little Italy’s, Chinatowns, Koreatowns, and Little Ethiopias naturally popped up around the world. Rather than streets of mom-and-pop shops, entire campus-like neighborhoods are instantly animated as breathing lungs of cultural import-export, with nothing to stop them. Which brings us to the architecture of Little Dubai. 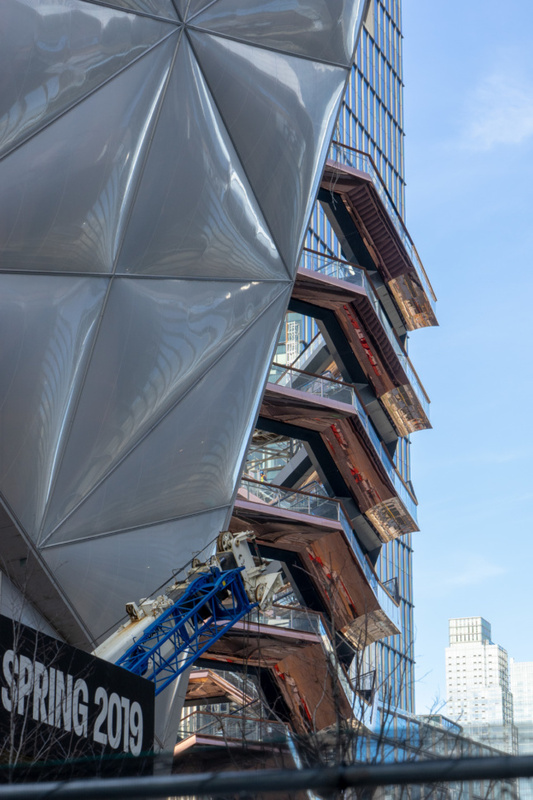 There are several similarities to Dubai at Hudson Yards. The most obvious is that the towers themselves look like those non-descript condos and offices that make up most of the building stock in Dubai. Moreover, the neighborhood was master planned by KPF, who also crank out towers in the Gulf and Asia more generally. The similarities run deeper, from the food to the development patterns to the urban experience. Like any good enclave, the mechanisms that have produced Little Dubai look a lot like those that produced the original Dubai and its urban environment. This is not to say that Little Dubai necessarily comes from Dubai itself. It is not that simple. In fact, New York and developing nations such as the UAE and China are in a constant feedback loop, where the West exports ideas about managerial production systems such as large architecture firms and the corresponding banal corporate aesthetics. This is how New York’s Little Dubai came to be. The original Dubai was opened up to private land ownership in 2002 in an attempt to become a stable place post-9/11 for foreigners—especially Middle Easterners, Africans, and South Asians—to park their money. Special economic zones were established that allowed business and development to operate without the strict controls of Shariah that governed the rest of the UAE. In these economic zones, international trade was encouraged by specially crafted civil legal code geared specifically toward port businesses (foreign investment.) For example, a team of international consultants from mega-firm McKinsey advised the Dubai government in 2002 to draft a set of UK-style regulations for the Dubai International Financial Centre (DIFC) free zone, a “state within a state” that would operate with a different official currency—the U.S. dollar— and a different official language—English—than the rest of the UAE. It was designed by none other than architectural behemoth Gensler. This international managerial complex was the logical conclusion of some 300 years of colonial urbanization of developing nations around the world, perfected by the UAE government. Companies like Emaar and Dubai Holdings buy and develop enormous plots of land that serve as self-sustaining neighborhoods that don’t need to have much connection to their surroundings. Because of their sheer size, and the scale of the projects they oversee, these massive companies also obscure the relationship between public and private. In New York’s Little Dubai, a similar situation exists. 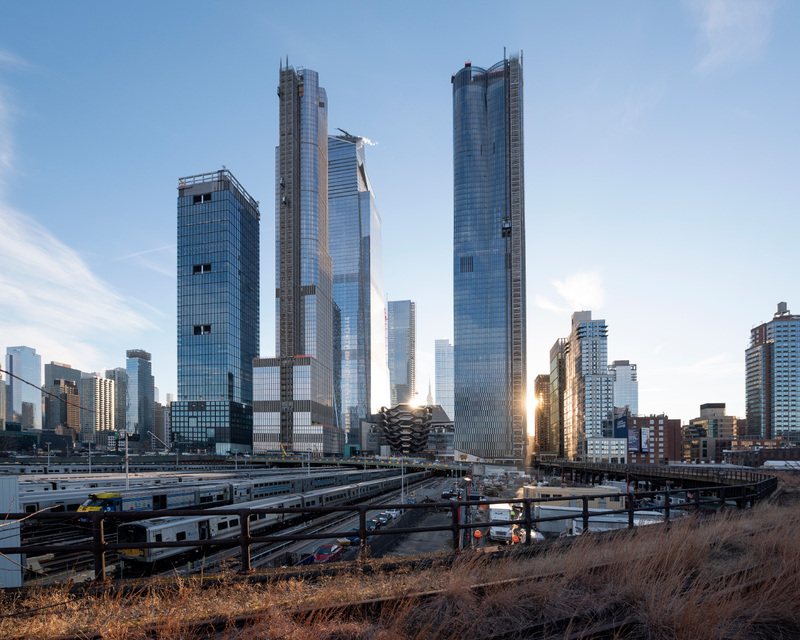 The New York City Department of City Planning (DCP) acts a bit like the real estate state of the UAE, doing large rezonings and tax incentives to foster these big developments. Nearly 1 billion dollars in tax abatements were given to Related Cos., Little Dubai’s developer, in addition to nearly 4.6 million in infrastructure improvements and other incentives. And often, because of the private nature, DCP has little authority to begin with. Because the development is on state-owned land, there was no oversight from community boards. The parcel became part of a larger economic development strategy that usurps local regulation, leaving the citizens of New York City more-or-less out of the conversation. Little Dubai is regulated by a network of rules and capital that transcends physical territory, just like the “Old World” Dubai in UAE (this model is also being pursued by ultimate cloud-based dark-power-mongers Google in Toronto). 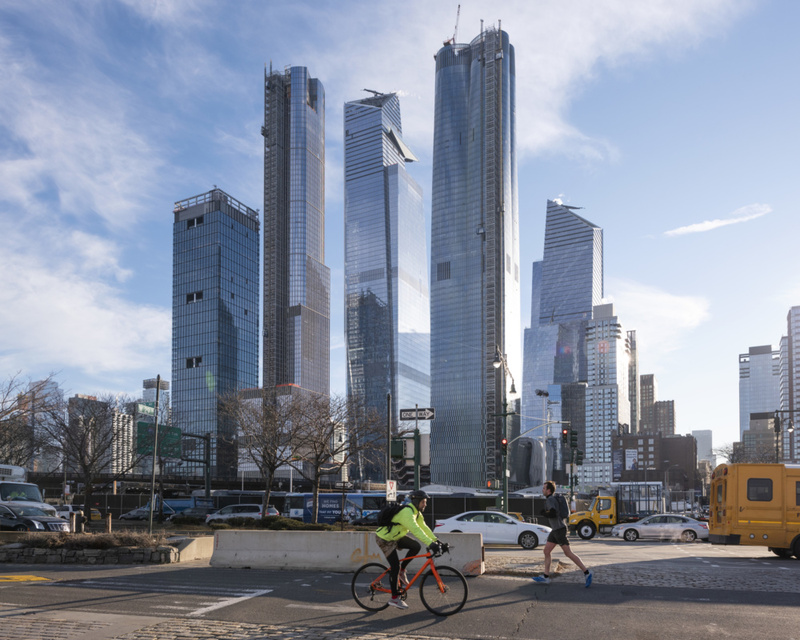 This has led to a sort of Free Economic Zone, where Stephen M. Ross, Related’s chairman, is a sort of urban autocrat, pushing through what he wants when he wants. For example, in Little Dubai, Thomas Heatherwick’s 154-staircase monument Vessel was simply ordered for $200 million, shipped from Italy, and fastened together in about 18 months, with little in the way of design review or public process. It is not necessarily a bad thing, but it raises important questions. At 28 acres (0.042 sq miles, or 11 hectares), Little Dubai has the characteristics of an entire neighborhood, with its own circulation paths, central public space, and complete set of programmatic functions from retail, residential, commercial, “cultural,” and leisure/hospitality spaces carefully orchestrated in both plan and section. Dubai is a place where these large private developments have happened so fast that they do not relate to one another on the street-level. The piecemeal nature leaves hotels and malls and gated communities difficult to access because nothing was planned to connect at the street. 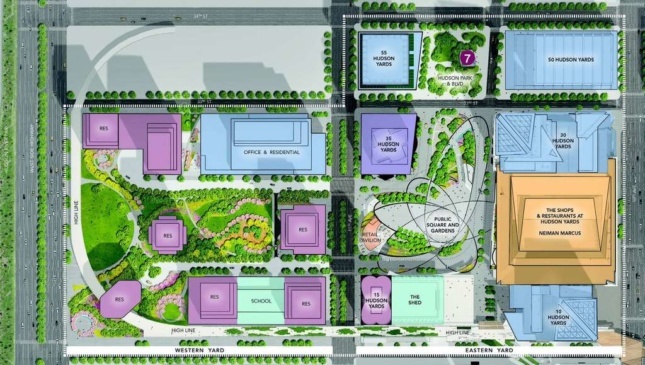 While Dubai’s infrastructure haphazardly connects these megadevelopments with curls of spaghetti-like roads and onramps, Hudson Yards has similarly managed to bend New York’s infrastructure to its will—the 7 subway line was extended to the northern entrance to Little Dubai’s main plaza. Vessel and its counterpart, The Shed, occupy an important niche in the rich culture of Little Dubai: they serve as the attractors to get tourists to come and play, and thus spend money at retail options. Like the spectacular Dubai Aquarium, Dubai Frame, and man-made islands such as Palm Jumeirah, Vessel acts to bring attention to the place. The High Line is already doing this, but these new spectacles will bring in tourists en masse, possibly so much that this area will be like a cleaner and even less exciting Times Square. 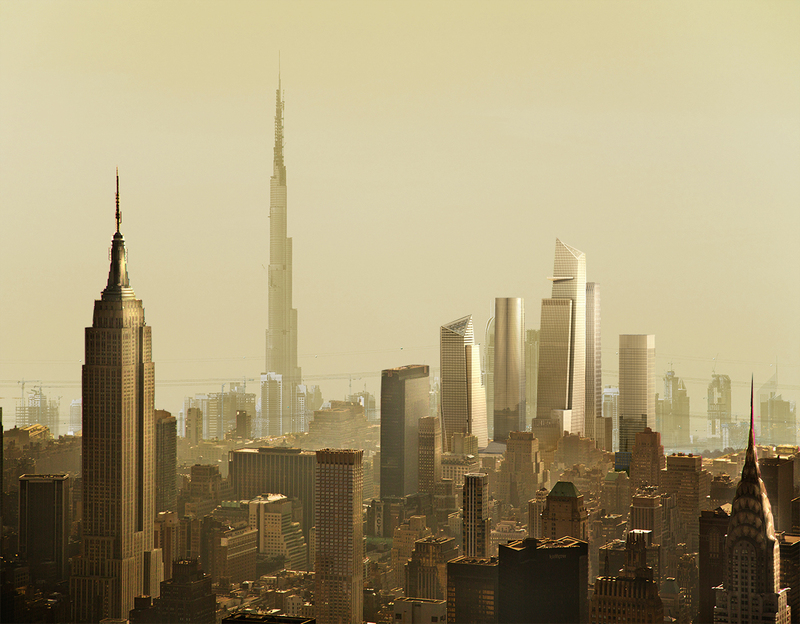 The process of globalization and the complete control of technocratic consultants has crystallized in spectacular fashion before our eyes in New York’s newest neighborhood, Little Dubai. What remains to be seen is how the local context will absorb this pseudo-neighborhood. What is scary for New Yorkers is that it seems like it is going to fit right into its place at the apex of the Highline.